The Chico Poker Network is composed of two U.S.-friendly sites, BetOnline and Sportsbetting.ag, and one that has a more international focus, TigerGaming. It’s the third-largest online poker cardroom open to Americans, and it’s in the top 15 worldwide by traffic numbers. Each of these three sites offers an identical 100% up to $1,000 first deposit bonus, which clears at an effective rakeback rate of 20%. The network uses software by Connective Games, which has been tested and certified for fairness by Gaming Laboratories International. You can download, install, and run it on either a Mac or a PC. There's a mobile client too that's compatible with iOS and Android devices. 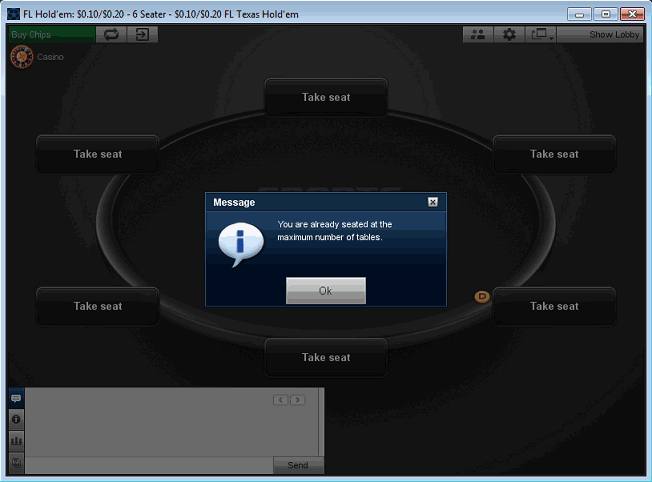 Finally, a Flash poker client lets users play from any up-to-date web browser. BetOnline and Sportsbetting.ag are licensed in Panama while TigerGaming holds a Curaçao license. As organizations that serve the U.S.A. online gambling market, Sportsbetting.ag and BetOnline support a variety of payment methods, like money order and cashier's check, that aim to make the experience of depositing painless for Americans. TigerGaming lacks some of these U.S.-focused payment processors, but it adds options that are appropriate for people in specific geographical locales, like Instadebit and EcoPayz. Tiger also honors a 24-hour payout guarantee for certain types of withdrawals. All three sites transact in popular crypto-currencies, which include Bitcoin, Ethereum. Litecoin, Bitcoin Cash, and Dash. Poker is just one part of the product lineup at the Chico partner companies. They manage full-featured sportsbook, racebook, casino, and financial betting portfolios. For most of these types of wagering, you can claim additional promotions and other incentives. You’ll have a lot to explore if you ever wish to take a break from the virtual tables. The $1,000-max welcome bonus is tied to the accumulation of comp points. Players get 1 comp point for every cent of rake generated in cash games. For tournaments, the relevant calculation is 100 comp points for every dollar in tourney fees with each individual fee rounded down to the nearest whole-number value. Whenever you earn 5,000 comp points, which is achieved by paying $50 in rake + fees, a $10 bonus payout will be credited to your account. Since you must pay $50 to get back $10, this is a 20% rate of return. This is about in line with standard rakeback bonuses offered at other competing rooms. Flat rakeback isn’t permitted at any Chico skin. The Chico network maintains a full schedule of ongoing rewards, including leaderboards for cash and SNG play, reload bonuses, and the exchange of comp points for tournament entries. The right combination of these perks along with the initial bonus could see you clear a 35% payback on the amount you rake – or even more if you’re a high-volume player! Because the network caters mostly to recreational players, the stakes in NL Texas Hold’em, PLO, and PLO Hi-Lo ring games are capped at $5/$10 ($10/$20 for NLHE), and they go down to $0.05/$0.10 games. There are usually tables active across most of this spectrum of blind levels, including the biggest games present in the lobby. Sit-and-gos are available from $1.50 to $215, and just like in the ring games, even the priciest competitions sometimes start. Windfall Poker is a lottery-style sit-n-go competition that uses random multipliers to determine the total prizes. It first appeared on Chico sites at the beginning of 2018. The weekly tournament schedule is anchored by the $99 $50K GT Main Event on Sundays at 7 p.m. ET, which is increased to a $109 entry and $100K guaranteed on the last Sunday of every month. Most of the other tournaments cost $33 or less to participate in. Many poker sites are accused of allowing collusion, bots, and all sorts of other offenses. It is not surprising that some players feel this way given past issues with sites like Absolute Poker and Ultimate Bet having insider cheating scandals. 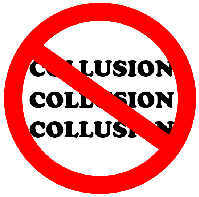 However, the Chico Network actively searches for collusion and botting networks and shuts them down. The origins of the Chico Poker Network lie in its predecessor, the ancient Action Poker Network. Headed by its leading skin, Action Poker, this entity served the United States from its inception in the early days of internet poker until the passage of the UIGEA caused it to exit the market in 2006. It was never one of the larger poker networks around, and the loss of a significant fraction of its user base may have been one of the reasons why the owners, Playsafe Holding, decided to sell it to Julian Holdings International in 2011. It was then rechristened the Chico Poker Network. After the new ownership took over, players started reporting excessive payout delays. Management blamed this on disagreements and contractual disputes with the old owners. At around this time, BetOnline joined the network, reopening it to U.S. residents. Despite the injection of fresh cash and players provided by this partnership with BOL, there were still reports of confiscated winnings, slow cashouts, and other unprofessional tactics. The network appears to have turned the corner in 2013. During that year, the backlog of outstanding obligations to players was cleared. With the addition of Bitcoin to the cashier options in 2015 and Litecoin and Ethereum in 2017, U.S. poker fans can play with confidence, secure in the knowledge that they can get their money back into their hands in about a day. To learn more about Chico Network payout processing speeds, take a look at our U.S. poker sites payout report. Given how the site has performed in recent years it was no surprise to us when we learned that the network has over 1,000,000 registered users in its database of clients! All customers get to download a free poker odds calculator to help them refine their play at the tables. The software lets you configure hotkeys for just about anything, including bringing up the hand history viewer and sitting out the next BB. In May 2006, hip hop artist Ja Rule opened up a poker site called StarsOnPoker on the Action Poker Network, the forerunner of Chico. 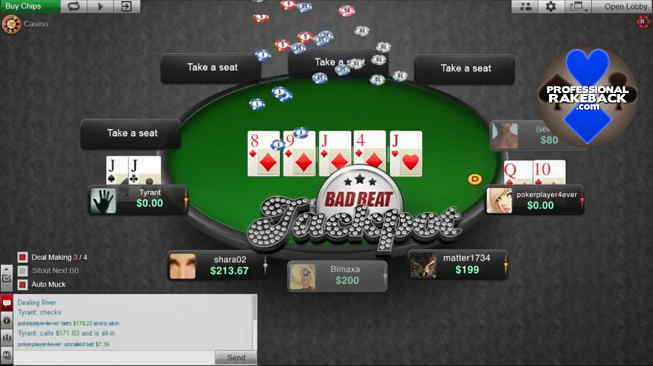 If you lose with quad jacks or better at specially designated tables, you could win a portion of the Bad Beat Jackpot, which has a $100,000 minimum pot. If you’re intrigued by the possibility of playing at the Chico Poker Network, then read our reviews of the site that interests you: BetOnline review, Sportsbetting.ag review, TigerGaming (non-US) review. You can look forward to a 100% bonus up to $1,000, recurring promotions, speedy cashouts, and soft poker tables. If you want to explore other online poker sites serving the U.S., then read our real money U.S.A. poker sites article. BetOnline/Sportsbetting.ag and TigerGaming have distinct lists of jurisdictions from which they will not accept customers. Fortunately, between the three sites, there’s an option for almost everyone in the world except those who live in Australia and Panama.